The GoldenEagles.net netwrok is not affiliated with the University of Southern Mississippi. MOBILE, Ala. - Southern Miss won for the third time in four road games, as they defeated South Alabama, 66-54, Saturday night in the Mitchell Center. The win snapped a three-game losing streak to the Jaguars. Gary Flowers led the Golden Eagles (6-1) with his first career double-double, scoring 18 points and grabbing 11 rebounds. Angelo Johnson tied his season-high with 16 points, while grabbing four boards with four assists. Buchi Awaji tied his career-high with 13 points, while tying his season-high with five rebounds. He also had a career-high five steals. "This team has a very high ceiling," said Southern Miss head coach Larry Eustachy. "We still haven't scratched the surface. We thought with the right personnel, we could go zone, and it worked. We haven't held a team to 29.0% in a long time. We had some great leadership from certain individuals. This was a great win for us." The game began as a back-and-forth affair, as both teams started out hot. South Alabama connected on four three-pointers early on as they took an 18-11 lead with 11:44 to play in the half. However, the Golden Eagles went on a 15-0 run over the next 4:09, led by a barrage of three's from Angelo Johnson, Buchi Awaji and R.L. Horton to take a 26-18 lead. But the Jaguars (7-3) closed the half scoring 11 of the final 16 points, as Southern Miss held a slim 31-29 lead at the half. Despite connecting on 60-percent (6-of-10) of its three-pointers, Southern Miss was just 42.3-percent (11-of-26) from the field. The Eagles started the second half the same way as the first, hitting seven of its first 14 shots. Gary Flowers paced Southern Miss early scoring eight of their first ten points in the first six minutes of the half. But, South Alabama hung with the Eagles, staying within six points through the first 10 minutes. 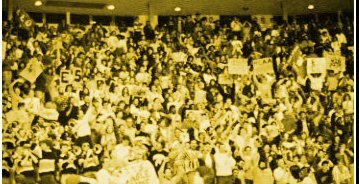 But, following a Tim Williams jumper at the 9:20 mark that pulled the Jaguars within 49-45, Southern Miss outscored USA, 12-2, over the next 4:27, capped off by Johnson's third three-pointer of the night. South Alabama got no closer than 10 points the rest of the way. Southern Miss shot 42.6-percent (23-of-54) from the field, including a season-high 53.3-percent (8-of-15) from behind the arc. The Golden Eagles held South Alabama to just 29.1-percent (16-of-55) from the field, including 24.0-percent in the second half. Allyn Cooks led the Jaguars with 13 points. Bryan Sherrer scored 11 points and Tim Williams added 10 points and nine rebounds. Southern Miss returns home next Tuesday when they face Louisiana-Lafayette. Tip-off is set for 7 p.m. 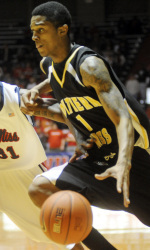 It is the second meeting between the two schools, as Southern Miss defeated the Ragin' Cajuns, 79-72, in Lafayette. 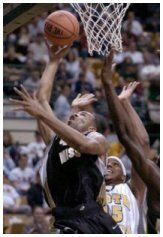 NASHVILLE, Tenn. -- John Jenkins scored a career-high 20 points to lead Vanderbilt in an 82-46 rout of Southern Mississippi on Saturday. The freshman guard was 6-of-6 from 3-point range and the Commodores (10-3) shot a season-high 64.3 percent (9-for-14) from beyond the arc. The Golden Eagles (9-4) shot just 28.1 percent (18-for-64) and matched a season-low for points. Southern Miss led 12-7 after 6 minutes, but was outscored 37-10 the rest of the half. Ten players scored for Vanderbilt for the fourth consecutive game. Their reserves also outscored the Golden Eagles' bench 35-8. A.J. Ogilvy scored 17 points, Jermaine Beal added 15 and Andre Walker had 10 for Vanderbilt, which blocked 10 shots for the second straight game. 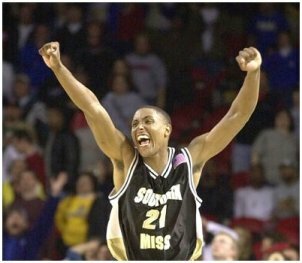 Gary Flowers had 17 points for Southern Miss. HATTIESBURG, Miss. (AP) — Maurice Bolden scored 18 points and was one of 11 players to score for Southern Mississippi in an 87-55 win over Dillard on Wednesday night. The Golden Eagles (9-3) shot 61.5 percent from the field in the first half and built a 46-23 halftime lead. Southern Miss then used its depth and a 49-27 rebounding margin to put the Bleu Devils away in the second half. Josimar Ayarza scored 17 and Buchi Awaji added 13 for the Golden Eagles, who improved to 4-0 against NAIA opponents. Southern Miss won by its second largest margin of the season after losing to Canisius and North Florida. Cornice Wingate scored 16 to lead Dillard, which counted the game as an exhibition.